Washington D.C. [USA], Feb 20 (ANI): Meghan Markle’s baby shower is underway and she is being showered with lots of love and wishes from her friends. Washington D.C. [USA], Feb 19 (ANI): Meghan Markle is all set to celebrate her baby shower with her friends in New York. Washington D.C. [USA], Feb 12 (ANI): While promoting his upcoming Hulu series ‘Catch-22’, George Clooney slammed the way Meghan Markle has been treated since she joined the royal family and even compared her experience to that of the late Princess Diana. Washington D.C. [USA], Jan 27 (ANI): It turns out that the Duchess of Sussex is making statements with jewellery like no other Royal ever has. London [UK], Jan 17 (ANI): Thanks to Meghan's new royal role recently handed down to her by Queen Elizabeth, the Duchess of Sussex may land back in show business. Washington D.C. [USA], Jan 17 (ANI): Seems like even the Royals have awkward encounters. Meghan Markle recently visited an animal welfare organisation and was called a 'fat lady'. However, the Duchess of Sussex's reply to it was perfect. Washington D.C. [U.S.A.], Jan 16 (ANI): The Duke and Duchess of Sussex recently shared a heartwarming moment with some blind royal fans. 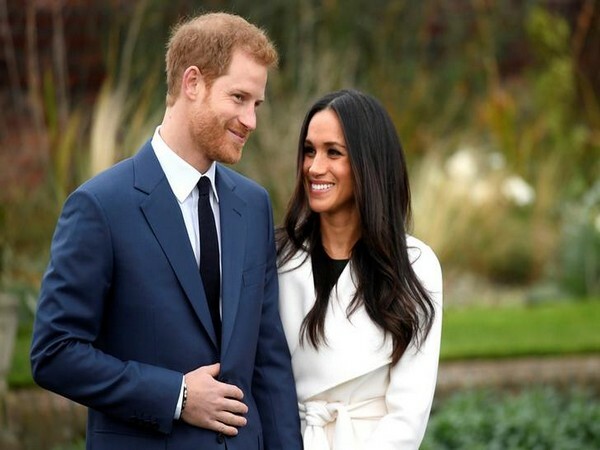 London [UK], Jan 14 (ANI): Meghan Markle and Prince Harry, during the couple's visit to the town of Birkenhead on Monday, told the crowd when the Duchess of Sussex was due to give birth to their first child. Washington D.C. [USA], Jan 10 (ANI): Meghan Markle has announced the causes she will champion in her royal life, her office at Kensington Palace announced on Thursday. Washington D.C. [USA], Jan 06 (ANI): It seems that Lindo Wing is off the charts for Harry and Meghan when it comes to the birth of their first child. Washington D.C. [USA], Jan 06 (ANI): Meghan Markle's father Thomas Markle came to his daughter's defence while talking about the negativity she is receiving with regards to an alleged feud with Duchess of Cambridge, Kate Middleton.